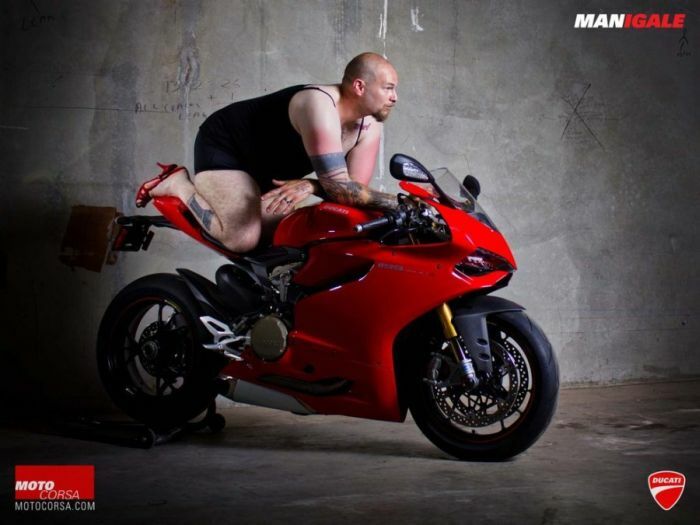 Portland's MotoCorsa male employees were asked to pose for a new Ducati 1199 Panigale ad just like a professional model. I'm pretty sure you'd buy a pneumatic driver from a Snap-On rep, but what would be the fun in that? As wrong as it might seem, at least it's funny! Some of the lads involved are even struggling to match the poses, which just makes it funnier.